See all the pre-fall looks right here. Heidi celebrated being a cover star in the designer's structured Resort 2014 white and black sleeveless jumpsuit. 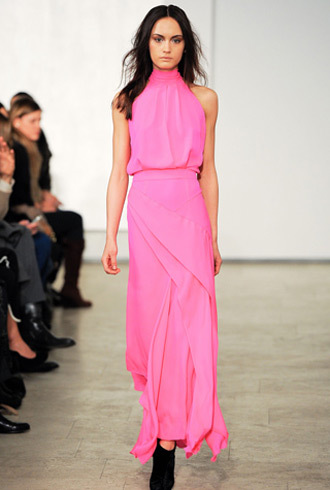 Nikki’s sleek monochromatic fuchsia gown was a refreshing sight.